After having tasted only one defeat in the last five matches, Arsenal have put themselves closer to the top four than ever this season. 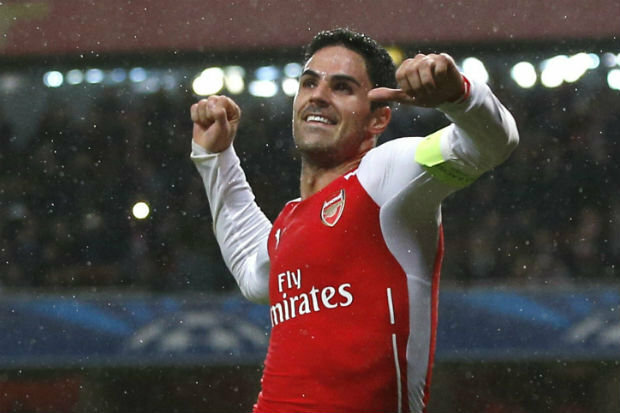 The victory over Manchester City in the previous league match gives them a great deal of belief according to Arteta. Unlike in the last few seasons when Arsenal have struggled against the top opposition, last week was entirely different after the gunners managed a 2-0 victory over City. United managed a win from their home match against Leicester City and it puts a great amount of pressure on Arsenal to win their match in hand. “A consistent run has been hard to come by this season, but we feel that after some really positive results, and with players like Mesut, Aaron and Theo fully fit again, there is momentum on our side. Having been without him for so long, it was great to see Mesut make his comeback against Stoke and then scoring against Brighton on Sunday. I think he is probably the best player in our squad at giving the final ball to the player up front.But then, it is also true that when Santi has played in the No 10 role recently he been fantastic – particularly in the win against Manchester City,” said Arteta.